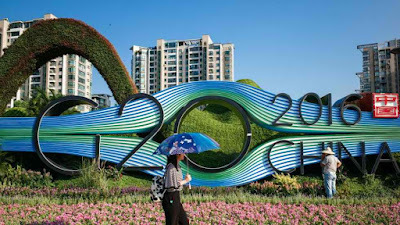 This coming September 4 to 5, the Chinese city of Hangzhou in Zhejiang province will have the distinguished honor of being host for the 2016 G20 Summit. With luminaries like US President Barack Obama (on one of his last major international conference appearances) and British Prime Minister Theresa May flying in, Chinese officials have this week to make the necessary preparations in Hangzhou to receive their many state guests, and at the same time trumpet the country’s unstoppable ascendancy as a world economic superpower. Such a stunt is but a drop in the bucket of a drive worth billions to transform Hangzhou into what amuraladvertising the G20 Summit has described it to be, a “Paradise on Earth”. Trees have been planted, new roadways built and opened. Not far from the city’s International Expo Center that will be the main conference hall of the G20 leaders, the Mantoushan neighborhood sees construction workers repaving the roads, creating new sewer systems, and most importantly to most of its estimated population of 6,800, buildingnew 3-storey houses to replace old cramped homes. But there is a flipside to the efforts of beautification in Hangzhou. Take for instance the bright blue skies. That’s thanks to a total closure of all factory complexes in the city for this week and the duration of the summit. But as a result hundreds of factory workers have no work and are earning nothing at the moment. To dramatically cut down on traffic, the government is offering other residents some vacation time and encouraging them to leave the city for at least seven days, even providing travel tours at discount prices to make them bite. Not included in these special packages is the migrant working community. They’re practically being bullied out of town with no perks, a simple task given that nearby stores and markets have also been closed. And the city has been placed in virtual lockdown with an intensified police and military presence. Even international news crews navigate the streets with some difficulty, being accosted by security personnel at every intersection demanding credentials and a stop to taking video footage. As the most powerful leaders of the world gather in China’s own Silicon Valley – Hangzhou is home to some the country’s major tech firms like Alibaba –the government is dead set on giving them an unforgettable experience. Some of the locals would benefit, others would be inconvenienced. That’s how it always is with hosting international events. Even with their hands full confronting, containing and neutralizing the ISIS terror group, the countries of Turkey and Syria somehow managed to find time to further escalate the tensions between them, common enemy aside. Even worse, now their little tiffs are beginning to endanger the lives of deployed forces from their mutual ally the United States. 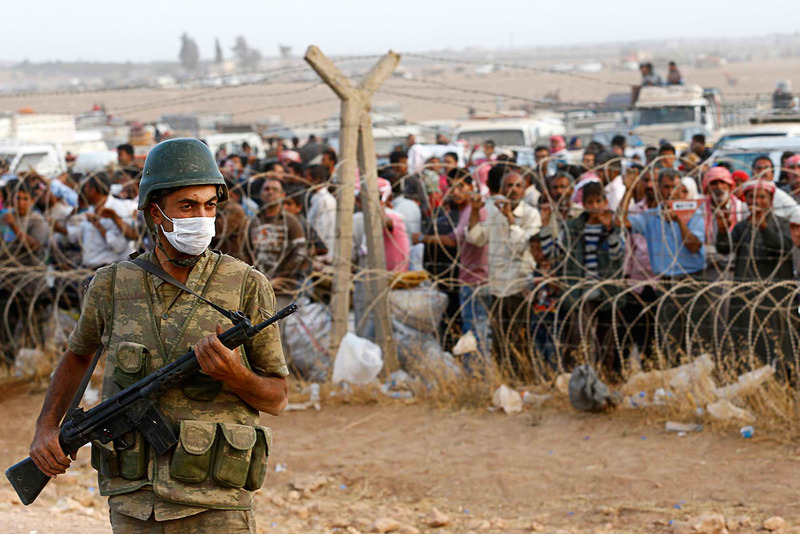 Fox News reports that at least 70 persons in Syria have been killed by combat operations from Turkey over the weekend, most of them civilians according to Syrian agencies monitoring the conflict. Of course, the Turkish military has their own spin on the events: that at least 25 of the reported Syrian dead were terrorists without a single mention of civilian fatalities, and that their forces were constantly sparing no effort to keep non-combatants out of their line of fire. Complicating matters is the fog of war preventing the verification of casualty figures in Syria, nor their identities. These escalated attacks from Turkey were sparked by the dead of a soldier and wounding of three others in a Turkish tank crew during a border clash with the Kurdish rebel group YPG this Saturday August 27. Literally caught in the middle of this shootout are American forces who are leading the coalition charge to eliminate the presence of ISIS in the region. Both Turkey and Syria are US allies, but due to complicated factions within Syria, American soldiers attached to these forces tend to find themselves at odds with conflicting alliances. For example, US Special Forces are working together with the YPG, comprised of Kurds in Syria who are rivals to both Syrian and Turkish Arabs, which also have close contact with other US military units. But this debacle now threatens to expose to hostile forces the Turkish Incirlik Air Base, which is also home to a US Air Force complement with nuclear weapons that can be deployed against ISIS as an absolute last option. Incirlik is not far away from the Turkey-Syria border, and if Turkish and Syrian Arab forces are too busy fighting it out with the Kurdish YPG, in the worst-case scenario a determined ISIS strike could enable them to seize the nuclear arsenal in Incirlik. Not helping at all is a Sunday August 28 speech by Turkish president RecepTayyipErdogan, wherein he stressed that his country shall have the same level of determination in combatting both ISIS and the anti-ISIS Kurdish rebel YPG, which is considered just another terror group by Turkey. As he spoke, Turkish warplanes continued hammering away at Kurdish forces close to a town they have just liberated from ISIS control with the help of US covert operators. US officials have on Monday August 29 released a statement calling the Turkey-Kurdish Syrian clashes “unacceptable”, and have thus made efforts to relocate Kurdish forces with US assets east of the Euphrates River. Mother Nature has a dual image both nurturing and cruel, even to her own. This latter reputation came to the forefront in Friday August 26 at a mountain plateau of Hardangervidda National Park in southern Norway, when a herd of reindeer huddling together during stormy weather was wiped out to the last by a lightning strike. By Sunday August 28 the Norwegian Environment Agency released pictures of the bloodless yet grisly carnage. According to The New York Times, the NEA counted 323 reindeer dead – an entire herd without survivors – including 70 calves. The agency inspector who discovered the carcasses after the Friday storm also found five reindeer who survived the lightning strike but whose injuries were so severe that they were all euthanized, adding to the final tally. Knutsen further explained how reindeer tended to huddle together during stormy weather, a survival strategy against the cold brought by rain. “But in this case their survival strategy may have caused them their life,” he said. Lightning striking the wet ground would have carried a current through the animals’ hooves, dooming them to a literal heart-stopping electrocution leading to their deaths by the lack of blood circulation. Hardangervidda plateau rarely gets human visitors outside of hikers and occasional wildlife tourists who want a showcase of nature’s beauty. The wildlife inspector who discovered the dead herd was supposed to be conducting a reindeer count in preparation for a controlled hunting season to cull the herds’ populations. 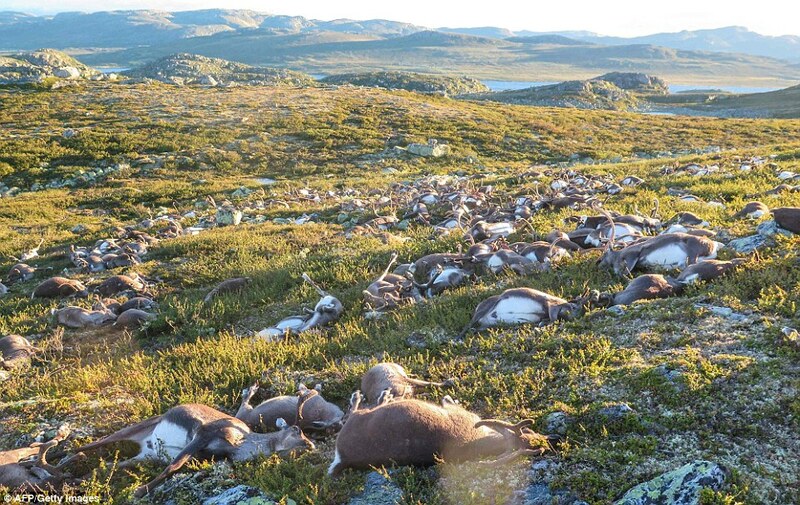 From August 20 to the end of September, the culling is projected to hunt down some 2,000 to 3,000 reindeer out of the park’s estimated 11,000 to 15,000 in total population. The 323 dead, while large, is still a portion of the planned hunting target, thus it was decided that the culling continue in spite of it. Another researcher who looked at the site was Norwegian Institute for Nature Research senior researcher Olav Strand. He noted that the lightning strike killing was similar to a 2005 avalanche in Norway’s Snohetta peak that buried and killed 280 reindeer. The close number of casualties he attributed to the reindeer’s herd nature. Another notable animal kill by lightning strike occurred in Australia in 2005 when 68 cows died to one lightning bolt. As of Monday the reindeer carcasses remain on site, as they died naturally. But owing to the large numbers Knutsen says the NEA is exploring alternative means of disposal. Great changes are afoot for LinkedIn, the professional office worker’s social network. It has announced last Wednesday August 24 its plans to significantly expand its footprint in the fast growing and potentially lucrative online freelance, or “gig”, job economy. This move is being promoted as an organic shift from LinkedIn’s original forte as an online platform for regular job-seeking and company hiring. According to Inc., a recent email statement from LinkedIn has noted on a new trend on the world’s largest workers’ social networking site. This is a steadily growing number of freelance or gig professional workers joining the online platform; it has increased up to 50% over a period of five years. 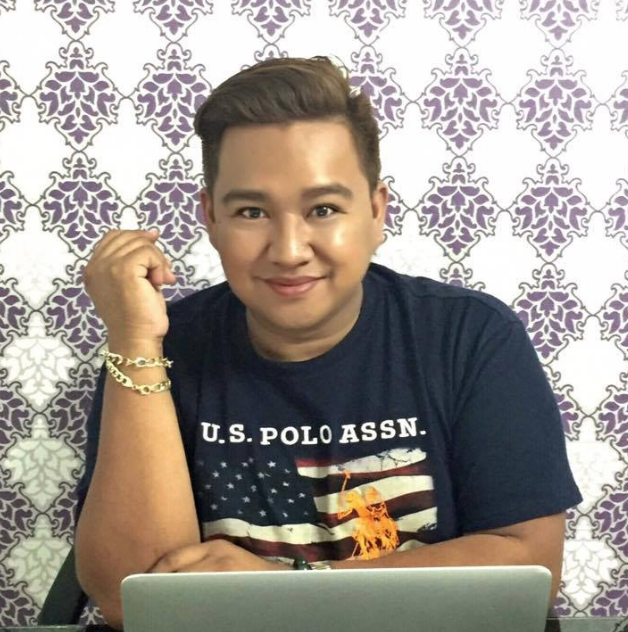 All these freelancers are in the market for gigs or short-term jobs as well as new leads in online business,stated Linked spokesperson Kenly Walker. "To ensure we're providing the same type of value for these independent workers as those in more traditional 9-to-5 professions, we've been piloting ProFinder,a marketplace that connects consumers with independent service providers,” he added. As of its August 24 launch, LinkedIn ProFinder now covers more than 140 service areas, offering a freelance online marketplace that brings together individual consumers and small businesses with a wide selection of skilled and dedicated online freelance professionals ready to provide any short-term service asked for, whether it be design brainstorming, writing and editing, real estate, accounting, career coaching and so on. 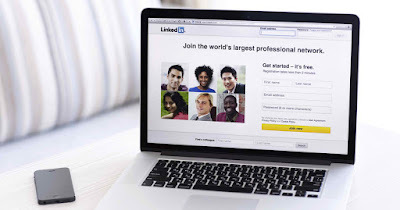 By drawing on the massive database of the main LinkedInnetwork, prospective clients are sure to be able to contract with gig professionals who can take on any job they have lined up. These freelancers can fill a small business website with top online content, handle the filing of a client’s taxes, or design customized and artistic correspondence like wedding invitations and programmes, all through the connections offered by ProFinder. While the full launch was fairly recent, a pilot ProFinder service was tested since October of the year before, with over 50,000 freelancers for clients to choose from. Now the official launch brings to bear the might of 450 million professionals, ProFinder is set to change the landscape of the gig economy. One of ProFinder’s biggest draws is that, other than the monetary option to upgrade to a $60-monthly “Business Plus” plan in order to post an unlimited number of job proposals, (the default limit is 10) the freelance platform does not get a take from any money payment exchanged between clients and gig professionals, as the payment services are off the ProFinder platform. LinkedIn stressed in its launch announcement that in light of the growing gig economy, they want to provide the same type of value for these independent workers as those in more traditional “9 to 5” professions. The autonomous self-driving vehicle craze has exploded in countries all over the world. From the United States to Europe, the march of development has finally hit Asia, in particular the island nation of Singapore. And they actually got a significant lead on everyone else having just started operating – on a trial basis – the world’s first ever self-driving taxi service. Beating out the likes of similar projects from General Motors, Tesla, Google and Uber, Singapore-based NuTonomy launched their service on Thursday August 25. Even better, according to The Wall Street Journal, the trial is open for public commuters to use, not just to a group of engineering and technical testers. Now a technological leap that has always been seen as landing a few years more in the future after constant trial and error is already wowing Singaporeans; and for now it’s all free. To make things easier to monitor, the NuTonomy driverless taxi service public trial covers only a single business district in Singapore that is home to a wide variety of tech and biotech companies. The service has chosen several local residents and given them a mobile app that enables them to hail one of the active self-driving cars. 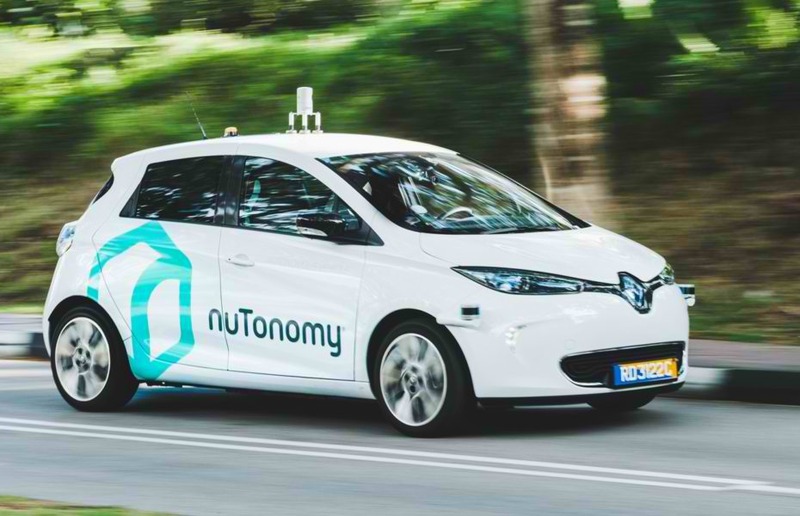 The vehicles customized for the NuTonomy test include the Mitsubishi iMiev and the Renault Zoe, and prior to the service trial they have been road-testing the self-driving modifications ever since April of this year. For the duration of the trial period, data collected on the cars’ road performance and the mobile app usage will enable NuTonomy to fine-tune their driverless software and hardware, online booking process, efficiency of the system to navigate routes, and find ways to better the passenger riding experience. As with other self-driving vehicle tests going on globally, a human tester sits on the driver’s seat, observing the system do its work and preparing to take over the steering wheel if there is a breakdown or emergency. NuTonomy was originally founded in the US by two MIT robotics researchers. The startup firm went on to begin developing software and technology for driverless cars, eventually setting up shop in Singapore where their taxi service trial was given the green light by the government, which was interested in transforming their city-state into a veritable tech hub through partnerships with NuTonomy and similar technological outfits. Ironically, despite its huge strides in Singapore, NuTonomy is still small fry to other firms dabbling in driverless tech, in terms of funding and publicity. Uber for instance, will initiate its own self- driving trials before the month is out, and their testing area will be the entire city of Pittsburgh, to be covered and serviced by about 100 driverless cars. But that’s just fine for NuTonomy CEO Doug Parker. To him it’s a tech race yes, but there was bound to be a handful of winners for this. With her Presidential husband’s time in the Oval Office drawing to a close, First Lady Michelle Obama is sure bidding farewell to the government and armed forces with style, pomp and a bottomless pocket. The latter comes in the form of a spanking brand new attack submarine for the Navy, the construction of which has been sponsored by her. After nearly five and a half years in the Groton, Connecticut yards of General Dynamics Electric Boat, a submarine manufacturer, last Saturday August 27 the sub was turned over to the Navy, who will name it the USS Illinois, SSN 786, in honor of the First Lady’s home state, as ABC News reports. In addition the First Lady, a Chicago native, means to invest her personal time in looking after the submarine along with its future crew and their families and relatives. This is in accordance with US naval tradition, as explained in a 2012 statement by Navy secretary Ray Mabus, that “a sponsor’s spirit and presence guide the ship and her crew throughout the life of the ship.” He then thanked the First Lady for accepting his offer to be sponsor of the submarine, the 13 th and latest boat of the powerful and advanced Virginia class sub. The SSN 786 cost $2.7 billion to build, with thousands of shipyard specialists hailing from three states – Connecticut, Rhode Island and Virginia – and several submarine supply outfits all over the country coming together at GD Electric Boat, a distinguished and storied company that has designed and manufactured subs ever since 1900. Construction went along on the boat without a hitch, and was christened by the First Lady in October of 2015. Recent sea trials also resulted in a “superb” performance, according to Electric Boat vice president Kenneth Blomstedt. 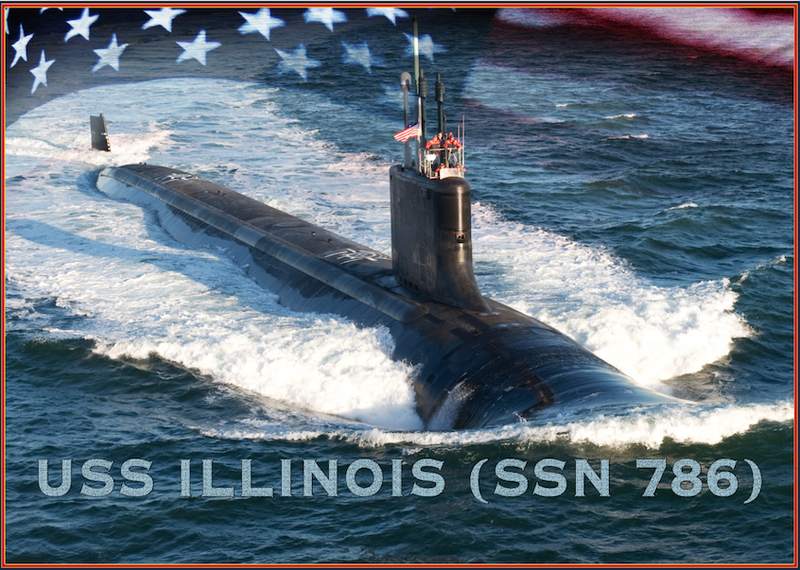 It was a testament to the dedication of the men that built her that the delivery of the USS Illinois to Navy ownership was carried out at August 27; the deadline had been the end of the month. Virginia- class naval program manager Capt. Michael Stevens states that SSN 786 was the ninth submarine in a row that was delivered to the Navy within budget and well before deadline. The latest iteration of the Virginia class was upgraded with a new bow section packing two large launch tubes for Tomahawk cruise missiles. USS Illinois will be officially commissioned at Groton on October 29, and will replace some of the Cold War-era subs that are set to be retired. Plenty of people from regular folks to die-hard fans have been wondering just what Kobe Bryant was going to do next after retiring from a stellar and legendary pro basketball career in the NBA. Now we know: he has joined forces with an old entrepreneur friend and opened a venture capital fund worth $100 million, ready to make investments in a wide range of markets. Business Insider reports that Bryant and brain researcher turned tech entrepreneur Jeff Stibel have on Monday August 22 launched Bryant-Stibel, their venture capital funding firm to be based in Los Angeles. They intend to make major investments in promising media, technology and data companies over the next few years. Having been introduced to one another by a mutual friend back in 2013, the NBA star and the investor have found kindred souls in on another, forming bonds on their similar history of foot injuries. Ever since then they have made simultaneous investments in 15 businesses, among them the sports website The Players’ Tribune, the Silicon Valley-based Juicero company that manufactures $700 easy to use juicers, video game developer Scopely and telemarketing software firm RingDNA. For Bryant-Stibel, the two founders are eager to combine their respective skillsets to build up their now-official partnership in venture capital funding. Aside from his brain research background Stibel was also the former CEO of Web.com, a public tech firm, along with being founder of several marketing companies. The retired LA Laker on the other hand has creative and marketing acumen to bring to the table; he personally designed the Bryant-Stibel company logo which evokes the image of piano keys, somewhat alluding to Bryant’s brief stint as a rapper according to Vanity Fair. 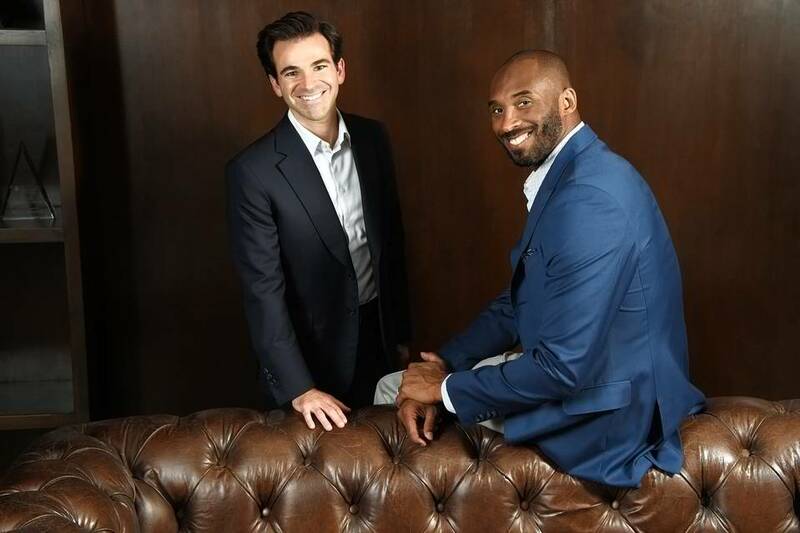 In an interview on The Wall Street Journal, Bryant said that some comparisons are already being drawn between his venture capital fund and similar efforts by NY Knick Carmelo Anthony and Bryant’s fellow Laker retiree Shaquille O’Neal. Both have done their own fair share of investing; “Melo” has even set up his own investment fund for early-stage startups, Melo7 Tech Partners. General Motors is one of those big long-running companies with a legitimate century-plus worth of history behind it. But being founded in 1908 doesn’t mean it’s too set in certain ways that it wouldn’t think of trying something new. This latest new thing came about in January of this year, in the form of a quality car sharing service called Maven, which provides clients with their choice of brand new vehicles from the company upon request, which the customer can use at their discretion for an hourly fee. According to Business Insider, this spin-off firm from the greater GM organization has already exceeded several milestones in the first seven months of operation. 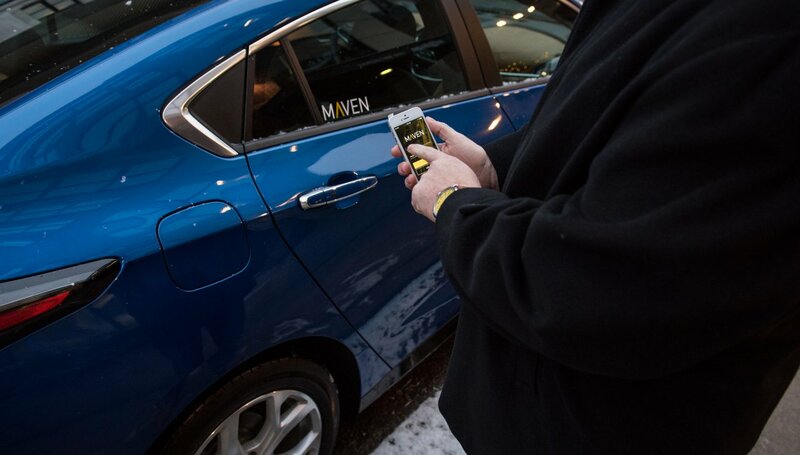 Now servicing five US cities and with over 5,000 registered user, Maven’s shared automobiles now have a combined mileage of 4.2 million miles driven. Not bad for an outfit that started out with only 40 people. The secret to success for Maven has been its keen eye for talent. It has aggressively acquired additional employees from computer and tech firms as well as other ride-hailing companies like Sidecar, which was actually bought up by GM shortly before the Maven launch, with a former Sidecar higher-up now set up as their own executive. Its head of operations is Dan Grossman, formerly of another competitor Zipcar. Under Grossman’s lead, Maven is gearing to take its first step abroad within the coming months. It’s plain to see now that car-sharing companies are going to dominate conventional taxis in the coming years, with the eventual next step being driverless or self-driving service. BMW has been overhauling its own car-sharing platform since May. Elon Musk of Tesla is pushing forward with his company’s plans to open its own car-sharing service with driverless vehicles. GM, through a partnership between its Maven subsidiary and Lyft is doing the same. An estimate by Business Insider’s research arm BI Intelligence sees the full advent of self-driving car services by the year 2020. It’s going to be a hard and pitched competition getting there however. Existing car-sharing and ride-hailing services are constantly one-upping each other to make enough money to spend in developing an actual working driverless car operation. Service pioneer Uber has already announced its intention to start using self-driving taxi service – though with a human still in the driver’s seat ready to take over in case of an emergency – in Pittsburgh before the month is out. Back to Maven, for the moment its primary focus is expanding the reach of its service. Dan Grossman states that parent company GM already considers Maven to be a true “global brand”, and is sure that overseas expansion will certainly gain a new market of customers eager to take GM cars for a spin, if only for a while. It seems the honeymoon is over for Uber Technologies, makers of the popular app that availed users of their wide pool of Uber drivers to hail rides from on the dot. In the first six months of year 2016, the ride-hiring giant lost a staggering $1.27 billion. And that’s not including taxes, interest, currency depreciation and amortization. 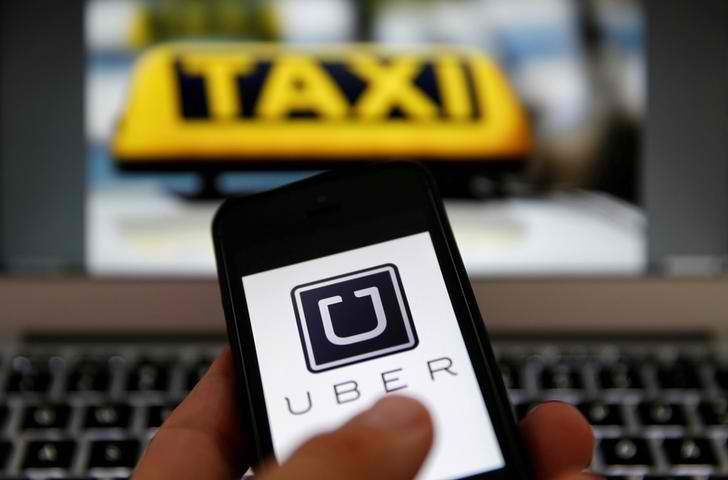 Uber finance head Gautam Gupta tells investors in a quarterly conference call, the topics of which were disclosed by sources to Bloomberg, that the primary reason for their company’s great reversal is the subsidies Uber pays out to its numerous drivers around the world. This perk that has enabled the ride-hailing service to inflict a massive change upon the transportation industry is now starting to bleed them. The company lost $520 million during the first quarter and an additional $750 million for the second, according to TIME. In 2015 the total loss had been about $2 billion. This current financial bind that Uber finds itself in has proven symptomatic for similar companies in its vein that start off servicing a locality – Uber is based in San Francisco – and then deciding to expand internationally, as reported by The New York Times. With Uber operations starting to open in one major city after another throughout the world, the service needed to get local drivers into its pool and fast. Thus they began providing subsidies to provide incentives for both Uber service driver and Uber app customer. In addition, more money went into service marketing and processing for national government regulators and run-of- the-mill taxi companies, which were not so pleased with Uber’s heavy-handed interloping. To get this money the company has been fundraising like crazy from potential investors, who value Uber in their eyes as worth over $62 billion. Every few months, new investments from Goldman Sachs Group, Jeff Bezos of Amazon and the Saudi Arabian Public Investment Fund has garnered a steady stream of billions of dollars a month. Driver subsidies then are what’re starting to drag Uber down. Over in China, the company went head to head against homegrown ride-hailing juggernaut Didi Chuxing, wherein both parties ran fast and loose with driver subsidies to increase their footprint in the market. It ended when Uber, realizing that they were giving more than receiving, foisted their Uber China subsidiary to Didi Chuxing. But it still threw money elsewhere like the $1 billion investment in Uber Global. Not all is doom and gloom for Uber however. The second quarter of 2016 saw a growth in revenue, owing to more than $5 million worth in bookings for that quarter – a 31% jump and a $1.1 billion revenue increase. Some marriages have the good fortune of lasting so long, even as the couple moves on towards old age. But that strength of union can also become a potential source of hurt as husband and wife begin to lean more on each other, especially in the twilight years. When circumstances force them to be away from one another for the rest of their lives, the emotional turmoil can be unbearable for them, and heartbreaking to outside observers. 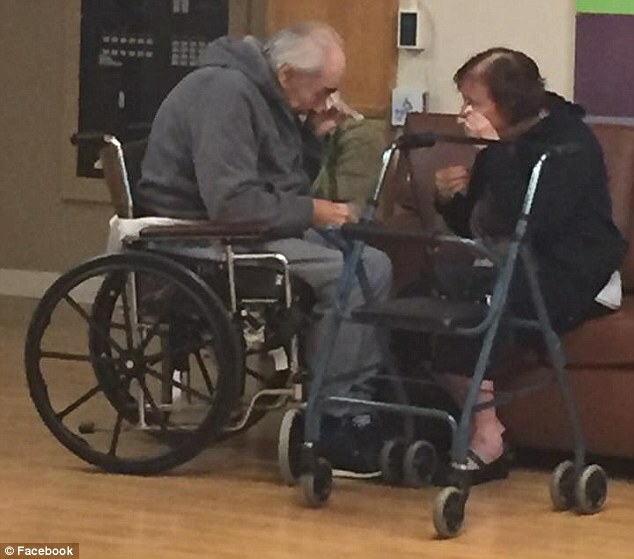 This is the unenviable position of long-time couple Wolf Gottschalk, 83 years old, and his wife Anita, who is 81. 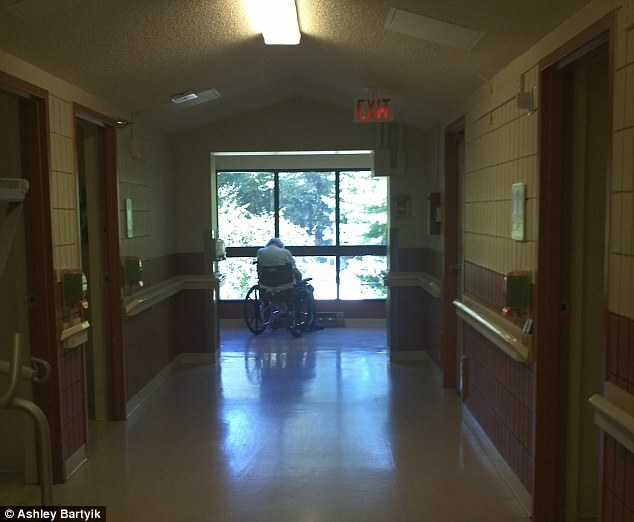 Residents of Surrey in British Columbia and married for 62 years, their lengthy time together was come to an abrupt and unfair end when they, at their advanced ages, have been admitted to separate nursing homes. Eight months have passed since that awful news, and the two of them have been living separately, and miserably for the most part. Their plight has been brought to the public attention by their granddaughter, Ashley Bartyik, who posted a picture of her aggrieved grandparents on Facebook. It depicts Wolf and Anita, on a wheelchair and using a walker respectively, and sobbing quietly near each other. The occasion was one of several arranged visits by Ashley and other members of the Gottschalk family, who would take turns visiting one of the couple at their assigned home, then driving them through the 40-minute distance to the other location to visit the mate, that they might have some time together. But no day visit lasts forever, and when it’s time to say goodbye, the tears start flowing as in the photo. Bartyik tells CNN that the emotional partings have been emotional for her Omi and Opi. She made her Facebook post this Tuesday August 23, hoping to somehow bring her grandparents’ plight to the attention of her local community, especially after receiving the news that Wolf has been diagnosed with lymphoma that very day. Coupled with his advancing case of dementia, Ashley fears that he would not be long for the world and Anita would not be able to be there for him. What their devoted granddaughter didn’t know was that her poignant plea to healthcare outfit Fraser Health to arrange for the elder Gottschalks to be in the same nursing home would become viral internationally. The 29-year old Ashley, who looks after her grandparents at their separate homes full-time, ended her Facebook post with a heartfelt request. "We want justice for my grandparents who after 62 years together deserve to spend their last moments in the same building." Apparently her efforts have borne fruit, for a Fraser Health responded that they have undertaken steps to reunite the couple within the next few weeks. We could only hope that they’d hurry; Ashley notes that grandpa Wolf still remembers his wife in spite of his dementia, but who knows for how long. Online marketplace sites are sure to gain leaps and bounds of advantages over the rest of the pack if they can somehow offer a unique and special feature that everyone else doesn’t. That has been the main drawing point of Grabr, the up-and- coming peer-to- peer market website that revolutionizes international shopping for everyone. And investors were quick to notice this. Tech Crunch reports that the European-based website has just completed a funding round, garnering $3.5 million in seed by Aleksey Repik of RBV Capital. Another name present was N-Trans Group’s Konstantin Nikolaev, and a powerhouse gathering of investment people ready to help get the service off the ground. Grabr’s market system at a glance sounds like a godsend for shoppers looking for international items or simply things that couldn’t be found or bought where they live; it also comes across as a fun way for regular worldwide travelers to make some extra cash as they get around. The way it works is that a shopper on the lookout for an overseas product or thing will post a request on the Grabr website. 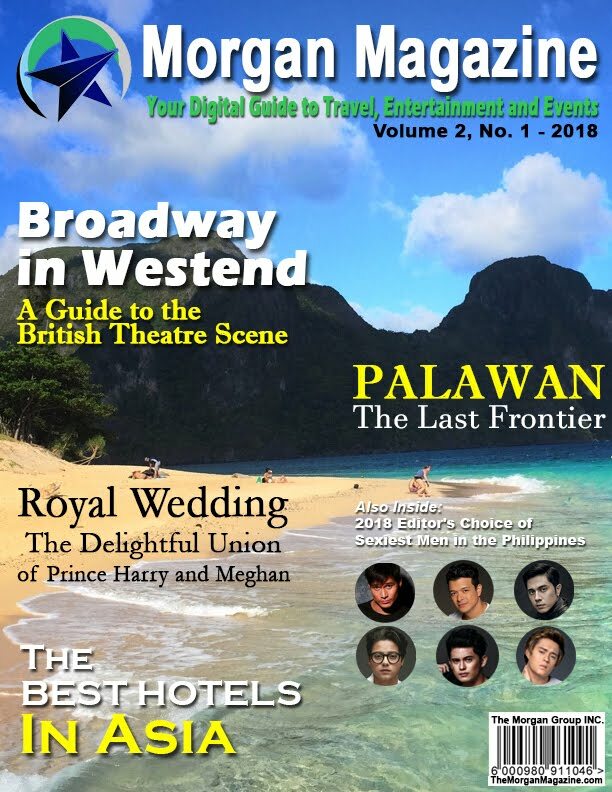 Any international travelers who are interested may then search through the list of request until he finds one for something to be found in the very country or location he will be travelling to at the time. If he thinks he can purchase or acquire the item, he can reply to the request with a bid on the order, comprising the item price (if it’s to be bought) and expenses in traveling. If the shopper is okay with the bid, he accepts it and forwards a payment with the item price and an additional monetary reward for whoever might answer their order (custom fees included) through Grabr’s partner payment processor Stripe, which keeps the payment on hold and deducts a 7% service fee. With a bid accepted, the traveler goes to the destination and uses his own funds to buy the product asked for like a fancy Parisian handbag not available in the US, or maybe acquire the product requested like beach sand from Copacabana put in a bottle. 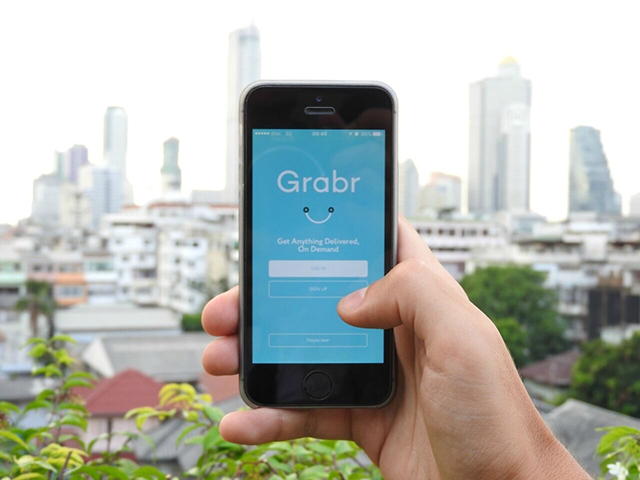 With the items at hand, the traveler can contact the shopper and communicate through Grabr’s built-in messenger service where they can arrange a place to meet one another. That done, the traveler and shopper go to the agreed upon meeting place, the traveler delivers the item personally, the shopper confirms delivery on Grabr, and Stripe releases the held compensation for the traveler: reimbursed item price (if there is) and added reward money. The Grabr management team states that their service already has about 50,000 shoppers and travelers conducting business in it, though they have yet to disclose how many transactions have been successfully completed in the site. They intend to use their newly acquired funding for purposes of expansion. 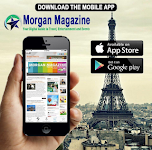 Visit Grabr at https://grabr.io/, or download their mobile app from the App Store. In this day and age anywhere can become a battlefield, whether it is on the real world or the online world of the internet. And an electronic attack can be just as devastating as a physical one, especially when the possibility of having sensitive, personal and classified information is high. Which is why Apple has taken a lightning-fast step in order to address a weakness of the iOS mobile operating system for iPhones and iPads against a very particular sort of spyware, one used to hack into a prominent Middle Eastern malcontent. 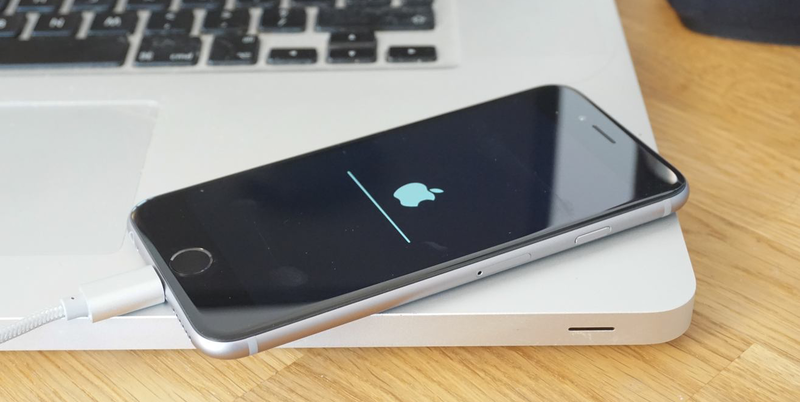 To that end they have released an update patch for the latest iOS version, 9.3.5, as reported first by the Associated Press, and enjoined their product users to download it for their devices as soon as possible. Ahmed Mansoor, an activist and part of the so-called UAE Five, drew attention to this iOS hacking spyware when he received a message on his iPhone 6, containing a web link he was invited to click. Instead, Mansoor forwarded the suspect message to the University of Toronto’s Citizen Lab for investigation, done in conjunction with the Lookout mobile security firm from San Francisco. What they discovered was a persistent mobile attack spyware on the message that could exploit a flaw of regular 3-day periods in iOS that would leave it vulnerable to illegal access. 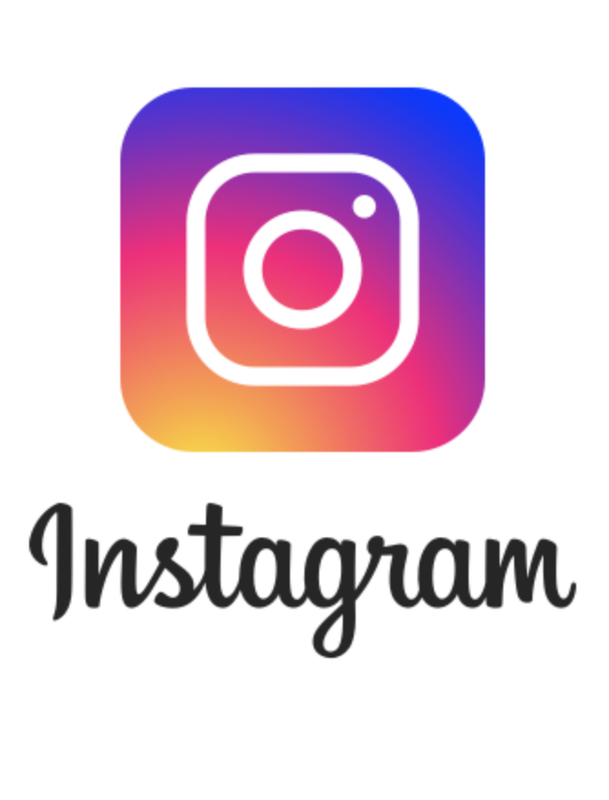 Once inside according to Lookout’s Thursday blog post on the matter, hackers who have sent the spyware will have constant monitoring of information on the device’s various apps, reading the victim’s email, Facebook posts, WhatsApp conversations and calendar event listings. Lookout researcher Andrew Blaich noted how quickly Apple moved to address the discovered flaw with the iOS patch, proving that the spyware involved was a serious security threat. Meanwhile, Citizen Lab managed to trace back the bugged message to a “cyber war” firm in Israel that is also owned by an American venture capital company. In a report by Citizen Lab researcher John Scott-Railton, the company called NSO Group has created Pegasus, a powerful spyware product. NSO spokesman Zamir Dahbash was interviewed by USA Today on the suspected use of their spyware against Mansoor. While he would not disclose the identity of those the firm had sold copies of Pegasus to, he insisted that their product has only ever been available to authorized and verified agencies of world governments, expressly to be used only for “investigating and preventing crimes”. Democracy and Technology. He points out that any iOS using device from that time would be extremely vulnerable to that specific spyware. The UAE would have had cause to try hacking Mansoor, a known critic of their government; but their embassy in DC has decline to comment.